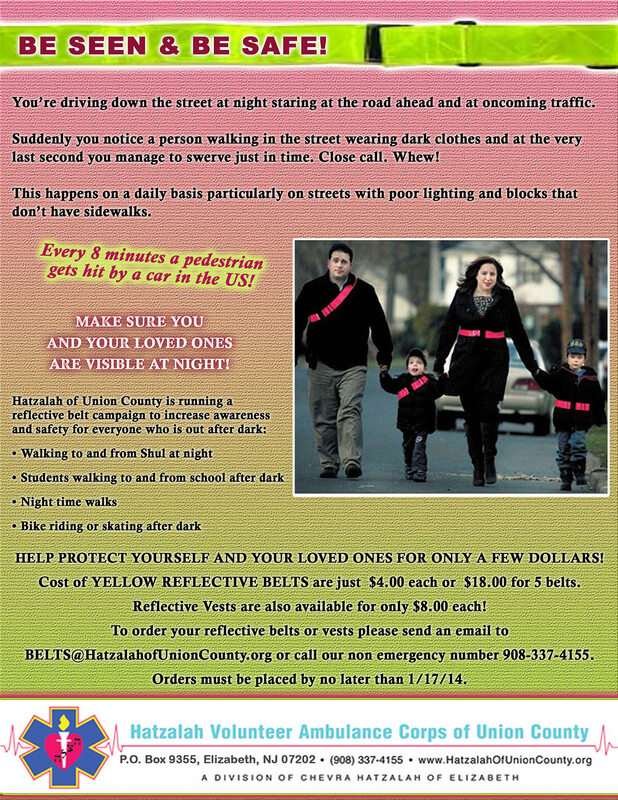 We are running a safety campaign now for the community to purchase reflector belts while out at night. Click here for the flyer. To request a telephone sticker with the emergency hotline number for Hatzalah Volunteer Ambulance Corps of Union County, please go to the "Contact Us" page above. Why is Hatzalah needed in our community? Copyright ® 2005-2019 Hatzalah of Union County. All rights reserved. Web Development and Hosting by MapleTime, Inc.